First African American female Representative to the United Nations Commission on Human rights 1961 - 1967). 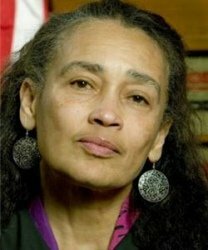 First African American to be confirmed to serve on the United States Court of Appeals for the First Circuit, Rhode Island (March 17, 2010). Founder of Sydenham Hospital, the first interracial voluntary hospital in the United States (a healthcare facility in Harlem, Manhattan, New York, which operated between 1892 and 1980.